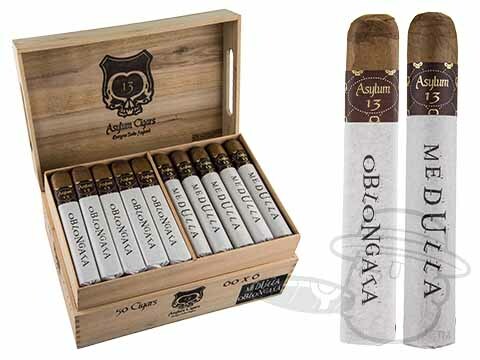 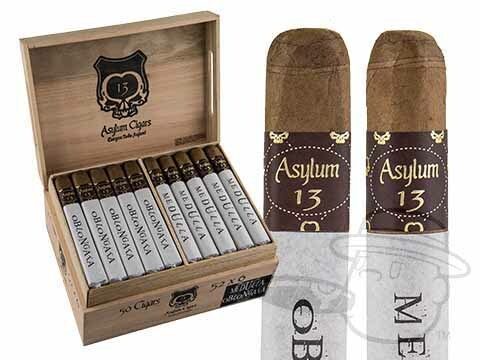 Asylum 13’s Medulla Oblongata series is packaged in 50-count boxes featuring 25 round parejo cigars (Medulla) and 25 box-pressed cigars (Oblongata) to give you two unique takes on the same outrageous tasting profile. 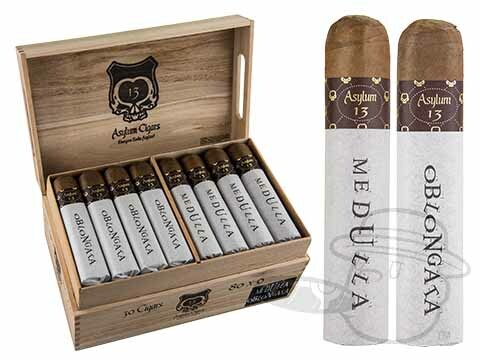 Handcrafted using 100% Honduran Corojo tobaccos, the Medulla Oblongata is bursting with bold notes of earth, cocoa, and dark tobacco spice with loads of juicy nuances. 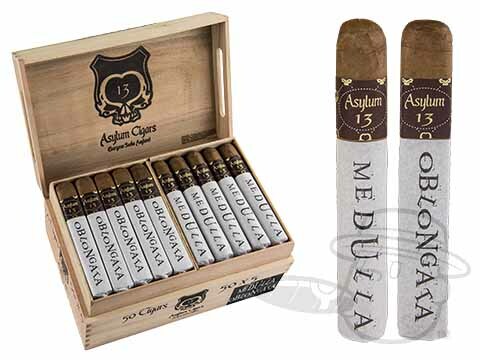 The Medulla offers a creamier delivery while the Oblongata serves up a smooth, dense concentration of flavors, but either way its an absolute win, especially for those who like ‘em strong, savory, sweet, and spicy!